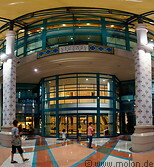 The Central Airport Plaza is a shopping mall located near the airport of Chiang Mai. 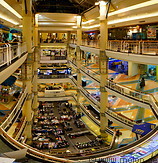 It was initially established as the Tantraphan Airport Plaza (ตันตราภัณฑ์ แอร์พอร์ต พลาซา in Thai) in 1987, then renamed to Central Airport Plaza in March 1996. 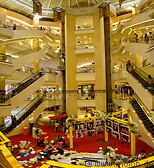 It's the largest shopping mall in northern Thailand, receiving around six million visitors per year. The total retail area is 107000 m² and the parking can accomodate 1500 cars. Inside the mall there is a food court with delicious and inexpensive Thai food.